It's been a while since the last Xamarin Weekly newsletter. So much has happened in the Xamarin Community, new Visual Studio releases, new Xamarin Forms releases and a bunch of fantastic community contributions. For this release, I've enlisted the help of Kym Phillpotts (@kphillpotts) to get the links out. Stop Losing Users and Wasting Endless Hours Tracking Down Bugs! Exceptionless does more than help you fight bugs and produce better code, though. We already covered that! Track and log feature usage and custom events, too. Get notifications on all of it. Explore intelligent groupings of errors, events, and feature usage. Monitor regressions and mark events as critical. Did we mention it's all in real time? Yup. And Open Source? You can host it yourself, for free, too. Just trying to make #devlife easier! Get Your Azure Mobile Badge from Xamarin University! Take the Azure classes at Xamarin University and earn yourself a nifty badge whilst you learn all about Azure. Don't have a Xamarin University account? No problem, you can sign up for free and take the classes. 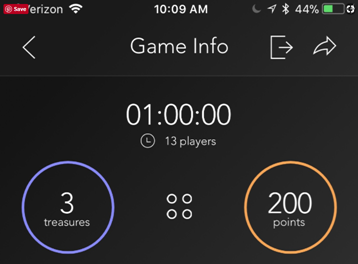 Rob DeRosa has created a great looking virtual scavenger hunt app in Xamarin.Forms. As with all of Rob's projects, it is beautifully styled and full of best practices. It has integration with Cognitive Services and an Azure DocumentDB backend - Including a super simple deployment mechanism. In case you've missed it, David Britch has a series of posts where he talks about creating more robust Xamarin.Forms applications through using the Polly framework to intelligently handle faults. This is his latest addition. Tom Opgenorth dives into what’s new in Android 8 Oreo and shows how to add the latest features – like Picture-in-picture, notification channels, downloadable fonts, and more – to your apps, 100% in .NET and Visual Studio. Xamarin.Android bindings can be painful. Jon Douglas has a nice page which some suggested approaches for getting to the bottom of issues you might have. When developing mobile applications for multiple platforms it can be important to understand how to implement time zones conversion in elegant manner. Xamarin.Forms.Forms.Context is dead... what to do? Let David Britch help you out. Alex Dunn has released yet another data bound Xamarin.Forms layout onto NuGet. This one is a bindable StackLayout. Alex Dunn has created a neat little nuget package that can bind to a collection of data in Xamarin.Forms to a dynamic grid that can scale to different sized devices and orientation changes. Announcing a new MvvmCross version - 5.6. Includes improved support for TvOS, MacOS improvements, UWP suspension fixes, Android fragment changes and Xamarin.Forms bug fixes. Announced at this year’s Connect(); was the ability to embed .NET libraries into existing iOS (Objective-C/Swift) and Android (Java) applications with .NET Embedding. James Montemagno takes a deeper look at sharing your native user interfaces and business logic in an iOS app written in Objective-C and an Android app written in Java using .NET Embedding.